Is The Corporate Website Dead? According to some trend watchers, a little research, and a few live examples, the corporate website as we know it may be ready for some disruptive evolution. To put it more plainly, the corporate website may be dying a slow and painful death. Corporate website visits for most large brands are declining. Your best content is lost among too much product promotion. And more attention is being stolen away by more progressive brands who have started acting like publishers and displaying content that your customers actually want to consume. This is not just headline bait. There appears to be a growing consensus that the corporate website as an online brochure displaying “About Us,” “Our Products,” “Latest News About Us,” and “Speak To A Representative” isn’t working. According to Webtrends, nearly 70% of Fortune 100 corporate websites experienced declines in traffic, with an average drop of 23%. I guess this shouldn’t be a surprise. We’re all watching the slow death of the newspaper industry. We’ve heard a lot of talk about how brands need to act like publishers. We’ve seen major advertisers talk about how their advertising is evolving into something more closely resembling content marketing. Now that there is a steady drum beat decrying the death of the corporate website, I sought to get to the bottom of this to see if we’re actually going to see some real change. And after reviewing some of the research and reading up on the evidence, I think there just might be something to this trend. In early 2011, Forbes Contributor Christine Crandell wrote that the customer experience for most buyers is inconsistent and disconnected. She pointed at the corporate website as a “traditional marketing vehicle” (ouch!) that companies should abandon due to the overwhelming evidence that most visitors scan the page and leave because they are not looking for information about your products. She believes corporate website visitors are looking for useful information such as best practices tips, human stories and the ability to interact with real people. Rather than boring your customers to death, there is a clear opportunity to put the dull corporate website to rest. Then resurrect it as a platform for true community engagement that functions as a hub for interaction. A few brands are getting into this game and they are not looking back. In November, 2012 the Coca-Cola company declared the death of its own corporate website. They re-launched their website under the tagline of “The Coca-Cola Journey. Refreshing The World, One Story At A Time” which featured content driven by their “Unbottled” blog. I had met their super-sharp Group Director of Digital Communications and Social Media, Ashley Brown a few months before this announcement and was just blown away by what they were doing. Even more important, is that they paused 6 weeks in, looked at the data and realized that what they thought would resonate with their audience wasn’t working. The corporate website is dead and “press release PR” is on its way out. Michele Mehl agreed that the corporate website is dead when she talked about how Coke successfully turned their website into an online news channel in her article on Geekwire. I know what you’re thinking. Coke is not a B2B Marketer. But I believe the evidence they pointed to, the cultural shift they implemented and the approach they took to make content their main product are all just as relevant to B2B marketing professionals. Maybe even more so. The B2B decision process is harder, longer and more complex. Delivering effective information and telling stories that build trust are still the cornerstone of effective B2B marketing. Our goal is not to promote ourselves but our thinking; our website is not a sales tool but an educational one. They realize that the main goal of their site is to build relationships and trust. Not to promote their products. And they also realize that this is a gamble. I think they are onto something. And I wish them luck! I realize this nearly 1,000 words is a lot to take in. Thank you if you made it this far! Now, please share your thoughts in the comments below. One of the most interesting insights to me in some of the comments from Coca-Cola is that content about the brand or company performs well. Maersk’s facebook page is another good example of brand content performing well. My big takeaway? It isn’t that the corporate site is dead per se. It is the new battle for attention, on the corporate site and everywhere else, and it starts helpful, inspirational or entertaining content. Even on your stodgy old corporate site. Coca-Cola and Maersk got people’s attention, even with information directly connected to their companies, when they moved away from traditional dry corporate copy and marketing material and started creating things their audience would actually want. I agree Eric. I noticed that too. It doesn’t mean we can’t tell stories about the brand. A good story is a good story. But they blah-blah-blah crap on most corporate websites needs to evolve or die. I think GE is doing some of this too. Should be interesting as this trend appears to be accelerating. “So while the corporate website persists, it has now been reframed as a point of departure for customer engagement, rather than a destination.” Simon’s quote is awesome, isn’t it? For me, it encapsulates the shift we are seeing. The thread all these examples share is having extreme empathy for the customer: The sites aren’t about what they sell/produce, but about how that product or service helps the customer, no matter where the customer is. Thanks so much Ann for those additional examples. I was looking for more brands on the leading edge of this shift. It’s pretty inevitable right. While pageviews aren’t the only measure to care about, older paradigms will be replaced when your website traffic declines 1, then 5, then 10, then 20%. Hoping to throw a little fuel on the fire here! argument develops that websites will disappear outside of their use for larger operation portals. By their very nature, websites were originally designed for surfing, not for answering user queries. validation of a company’s reputation. Thanks Jim, that’s why Sam and his team have transformed their homepage to be a blog. So they can own their Thought Leadership, be a hub for social sharing and also allow prospcts to get to know them and their people and their thought leadership. For the monoliths, this is applicable as their brands (firmly established) can continue to grow with content as the fertilizer. But for 99.99% of the rest of the B2B universe, products/services need to be delineated, explained and demonstrated. Take Scott Brinker’s Marketing Tech Landscape as an example: almost all of those providers need a means to describe their product vis-a-vis prospect challenges. While I agree that this lesson is harder to apply to the B2B world, I also think we tend to overestimate how much our products/services need to be explained. More accurately, we’re not explaining the RIGHT things. If you sell IT outsourcing, don’t spend a full page telling me what IT outsourcing is; I already know — that’s how I got to your site. Tell me why your service is going to do the best job fixing the problems that brought me to your site in the first place. If a search for your service keyword/phrase brought me to your site, I don’t need you to explain that service to me. I need you to convince me to pay YOU for it and not your competitor, which is a different conversation. Amen Tim! We totally over estimate how much we need to talk about ourselves. That is the main problem with marketing in general. Thanks Joe. I actually believe the lesson applies to every size company. Do smaller guys need to have a section on who they are / what they sell? Yeah. Sure they do. Because AT SOME POINT, prospects will need to know that. The problem is that most people are in the earlier stages of the funnel. They may not be ready to buy. But everyone is looking for helpful advice, entertaining stories and trustworthy news. The companies that start providing that as the main function of their site will win. Coca Cola isn’t bought online. If I want to buy something online, I am still looking for information about the product, not for community bla bla. I’m interested in technical specifications and want to compare them, not in stories. I’m looking for hard facts. Oh and btw, I’m not interested if the traffic comes from just 10% of the information. That can even be a positive indicator that people find quickly what they are looking for. I’m not interested in the loss of visitors as long as my revenue goes up because those who come find the facts they are looking for. Website visitors don’t feed you and don’t pay your rent. Revenue does. Hey Alex, thanks for your comment and I appreciate the dissenting point of view. I also understand this thinking. It is evident everywhere on almost every corporate website. And so that is why traffic is declining. Your example of an online buyer assumes that someone wakes up and decides to buy. And they know where to go, who sells it and they just need the technical details and price. But how will you know who sells it? How do you end up on that site? The buying journey in B2B is long and complex. You will buy from the organization that shows you that they understand the problem space. You will have 100 questions or more. Your executive peers will have hundreds more. And all those questions need to be answered. And the answers you trust will come not just from the brand who of course must explain their product. But the majority of answers will come from others – from community. So yes, you are right. Corporate websites should have technical specs. But this content is only relevant for the tiny percentage of late stage buyers who already know you. The real battle is in the early stage. That is why corporate websites in any industry must evolve to look more like media companies. And present an objective and interesting point of view from many voices. Finally, I must say I don’t agree with your point about declining traffic. My research and data across a few different companies in different industries shows that if you can increase the number of people you engage early in the buying process, your sales will go up eventually. And if you decrease your “share of voice” in the early stages your sales will go down. There is a direct correlation between something like website traffic, leads and sales. So I would not be so comfortable as CMO sitting on top of a corporate website with 20% or more declines in traffic. Thanks Michael. Okay, I’m coming at this from a B2B perspective. There are a few things going on here I think. First, it used to be that the website was all we had. It had to do everything and it did it all in mediocre fashion. It doesn’t need to do as much anymore and so it – at least the home page – is going to get less attention. Take the brand publishing/storytelling effort. We now have clients (like F500) clients that get practically as much traffic to storytelling sites as to their home pages. I think that very much validates what’s been discussed so far. That said, if I want to learn about your company and what you do, the first thing I’m going to do is go to your website, and if you just give me the benefits, without the features, it will drive me crazy because it looks like there’s no “there there,” and I don’t want to talk to a salesperson to get that information until I’m a lot more serious about buying. So in some ways, that website, especially for B2B enterprise brands, is even more important. Certainly not dead. A final note to marketers: Your company has more constituents than customers and prospects and the website isn’t there just to be a sales funnel. You have current and potential employees, regulators, influencers, analysts, activists/NGOs, etc. They want to understand what your policies are, what you stand for. They will absolutely check out your social platforms. And then they will go to your website. And they’d better be aligned. Hey Aaron, great perspective and good points all. I especially like what you said about the other constituents. So maybe it’s not dead but evolving. It certainly can’t just be a flashy brochure and some technical specs and many still are. 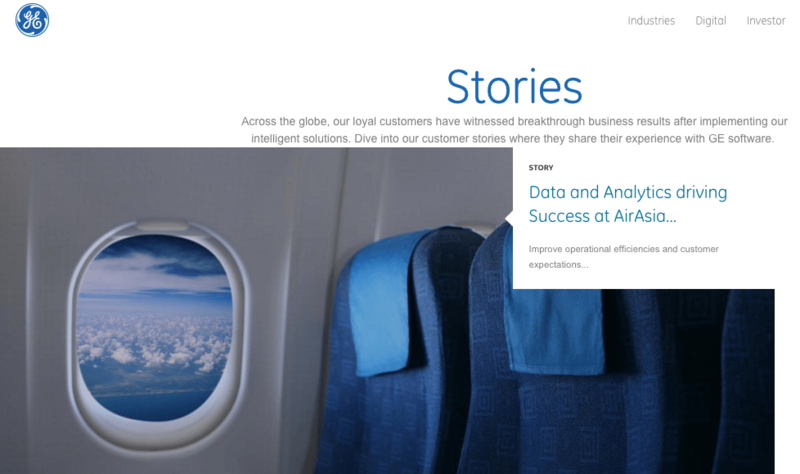 I think there are some leaders in this space like Boeing and GE and even other in B2B who will show the rest of us how to evolve the corporate website. It’s just like Media. Media ain’t dead. Just old forms dying as new, more relevant forms emerge. I loved reading this. Working in B2B can often be challenging when it comes to encouraging brands to break from the norm and appreciate that their clients are consumers too! Every other day to day interaction they have as a consumer is social, informative and interactive and there is no good reason why their experience in business should be any less inspiring and intuitive. And just helping customers and thinking about serving them and being more human is exactly what it will take. Easy, right? I spent 7 years designing and building websites for B2B companies and for the most part those organisations are thinking about what they want rather than what the customer needs when planning content. I’m working on a product now that hopefully gives B2B companies a more flexible approach to their content marketing through digital magazines (www.beacon.by). I would love to get your thoughts! Michael, great article! Here’s my take. B2B technology solution provider websites certainly won’t die, but they will evolve. In fact they are already evolving. Thought leadership content development surfaced as the top priority for B2B solutions marketers in 2014 in ITSMA’s latest survey. In addition, we recently did a survey of over 400 buyers of high ticket technology-based solutions and found that the #1 online source of information is technology solution provider websites. Only 4% said that they rarely visit solution provider websites. Are they finding the content they need and want on the websites? Yes and no. There still is a large group of traditional buyers who want to see the product/service descriptions. But the new B2B social buyers want more thought leadership content. More stories. More multimedia. Case studies are always in demand. according to the buyers we surveyed, they are spending an average of 37 minutes on a service provider’s website when they identify a provider they might want to engage. That’s a lot of time! Thanks Julie, My team had mentioned your research which is really fascinating. I agree with you 100% that we need to continue to support the needs of the traditional large ticket IT buyers. But as we are seeing the end of “elephant hunting” in enterprise IT and the move to the cloud and lower price tags and line of business or even users buying technology directly, I think there is a need to think about how to evolve the corporate website to a storytelling platform that can reach these new buyers. One thing we are seeing: the shift is happening very quickly. It is a very important and useful post for my site.Thank you for your post. I want corporate websites to do something for me. When I purchase a new pair of running shoes from Sauconey I would like to go to the site and register the shoes. The site should then proactively ask me what I like and don’t like after a month of use. They should also tell me (based on the number of miles I run) when I need a new pair. Then send me the shoes. Thanks for this article, and the research that underpinned it, Michael. You’ve got me thinking. We have always argued that the web site has two roles: the primary one should be to house loads of amazing content that buyers find through search and social, and a lesser role to allow a buyer to validate your basic credentials (“who are these guys I’m meeting on Wednesday anyway?”). To that end, we don’t really care which door you take into a web site and there can be an active blog, some hero pages optimised for search (early stage terms lead to thought leadership and late stage terms lead to product pages), and a few corporate pages. So the ‘corporate’ web site could serve all these roles. So what’s the problem? But you’ve got me thinking about what the front door should look like. I watched a great video blog by rand Fishkin from Moz tackling the home page (specifically) https://www.youtube.com/watch?v=wiKM8lPj-sQ. His basic argument is that the homepage should tell your story really succinctly and allude to a little more for those who want to read on. Perhaps its time for the blog to be the home page? Top 2/3 of the above-the-fold home page is your story (who you serve, what problems you solve, and a little of how / why you) and the blog peeking nicely just above the fold and somewhat-endless. Those who really do want the product pages will either find them through the site navigation (if you are already well-positioned in the category so they search for your name) or through search using product category terms (“best pink elephants in Dallas”). Great points Hugh. I think every cmpany should be thinking long and hard at their website and how today’s buyers are consuming information. User testing should include the right mix early stage prospects for every late-stage buyer to better represent the prospect universe. I think we will see this evolution happen quickly in the next 12-24 months! “The corporate website as an online brochure displaying “About Us,” “Our Products,” “Latest News About Us,” and “Speak To A Representative” isn’t working.” I agree with this statement. A static website that functions as an online brochure is a waste of digital space. But that doesn’t mean that the corporate website is dead. It means that it needs to evolve and adapt to changing consumer demands. You’ve captured them in this post, but I think the headline is misleading. Thanks Ruth. That’s why I posed it as a question. This was actually a direct quote from the head of Coke’s website so I certainly wasn’t trying to be misleading. But I certainly agree there is a need to evolve and soon! I’m a long time reader of your blog because of posts like this one. I don’t think the need for corporate websites will go away but I do think they need an “Extreme Makeover”. The reason they feel outdated today is because the content is not as fresh as what audiences can find outside of their site and the really useful content is buried and hard to find. I see the next generation of corporate websites serving more as a hub for content that comes from a variety of sources (both original and user-generated or third-party content). The purpose and form of the content will vary depending on whether the brand is known or unknown, whether it is a complex sale or simpler transaction,etc…. I’m glad folks have pointed out these different use cases in the comments. The conversations I’ve had with design practitioners about corporate websites has reflected more on how information is organized than the fact that it’s brought together into a central corporate site. I’m looking forward to seeing more examples of fresh thinking around corporate websites and will post a roundup of the ones I find as well. Thanks Amrita, I’m with you! Extreme makeover is exactly the right way to describe it. I can’t wait to see the roundup! Great article. As with all marketing vehicles, audience needs/use tends to set the trends. We saw that happen with newspapers. We still want and need the information, we just want it delivered in a different format. I agree with Aaron that B2B still uses the website as a backgrounder. I do believe that it is time for a change for websites in general. As you stated, people are looking for information and the website should be providing that within it’s industry. Becoming the leader means staying current and providing your audience the information they seek and not just promote your products. It’s part of the marketing rule….keep in front of your audience as much as possible. So instead of targeting your audience, they are seeking your information, making top of mind less intrusive. I tell my clients that you want to make your home page the home page of your clients and prospects. If you know they start their day with news and stock information, make that available on your site. Allow clients to customize your home page to their needs and allow them to make it their home page while supplying them with the latest information you gather for your industry. Help them to be better at what they do because of your expertise. Build reliability and trust with your content. When they have a need you’re first in line. I completely agree Karen. The website should serve your customers first, and follow their journey. Which means more news and helpful advice up front. “About us” is fine. It’s just often not proportioned to the buyer journey. Fascinating read. And it seems so obvious that the corporate website is dead once you read this article. I do believe though that brochure style websites do serve limited purpose. Especially if I’m looking to evaluate a company. Moreover, plenty of channels exist for publishing content that can give far more visibility than what you’ll have when you publish on your own website. Thus maintaining such a website/ community is going to take a lot of resources. Coke can afford to do it but it may not necessarily be true for small businesses. Hi Siddharth, Thanks for your comment and support. Regarding the resource constraints, I’ve helped dozens of small businesses, startups and non-profits with NO MONEY to execute effective content marketing strategies and transform their websites into publisher experiences. That doesn’t mean it is easy. It requires the company to get behind it and every employee needs to think about how to turn the questions they already provide customers into articles that provide thought leadership. There are many examples of companies much smaller than Coke who are excelling at doing this.